We have affordable and high quality gravel ready to be delivered for driveways, roads, empty lots, landscaping, gardening, walkways and patios. We have all kinds of gravel, some of which we mix ourselves to offer our customers affordable, unique, and very high quality gravel and similar gravel material like river rock, crushed granite, pea gravel, pebbles, stone and more. We also have eco-friendly and organic gravel. 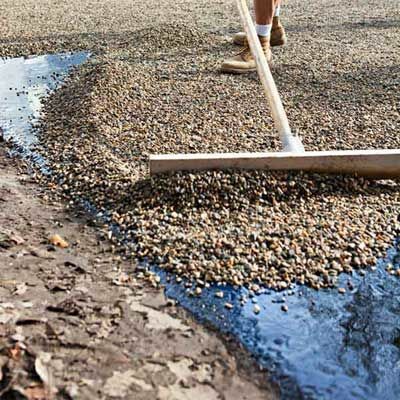 Our landscaping and gravel delivery company has the experience needed to understand everything that goes into creating a great landscape or driveway with gravel, and we know how to maintain so it lasts a really long time. If you have a gravel project on your mind, and you need us to deliver it please use the contact form on this page to tell us about it. One of our licensed landscapers will get back to you with a a free quote and an assessment of costs for gravel delivery and landscaping. Gravel Delivery - Select your State.